Fellow tech C.E.O.s can’t stop bashing Facebook, but their jabs could do more harm than good. Spiegel, as I noted, has a long-standing feud with Facebook, but others without an obvious bone to pick have followed suit. “The fact is that human beings are sometimes good, and sometimes not,” said Uber C.E.O. Dara Khosrowshahi in an April interview regarding personal data and privacy rights. “I think Silicon Valley is understanding that with building these platforms comes the responsibility to make sure that those platforms are being used for good.” He added, of Uber customers’ personal data, “We don’t try to monetize it.” Box C.E.O. Aaron Levie said in an April interview that Facebook ought to develop “ongoing controls” such as internal audits. “Maybe it’s during election cycles, maybe it’s the kinds of advertisers that are on the platform. I think we probably need a modern way of thinking through online advertising and who is funding online advertising,” he said. Ashish Toshniwal, who runs app developer YML, declared that “if Washington decides to regulate Facebook, I think that would be a good thing. And I feel it will be good for Facebook as well.” Salesforce C.E.O. Marc Benioff, who in the past has suggested that Facebook be regulated like sugar and cigarettes, said last month that Facebook had a “crisis of trust” with its customers: “When you lose trust with your customers—like what we saw with Facebook—well, then you’ve got to really work hard to build it back.” Even Elon Musk, though he hasn’t spoken overtly against the company, very publicly deleted Facebook pages for himself, Tesla, and SpaceX in response to the short-lived #DeleteFacebook campaign. The factors motivating their overt snark are manyfold. The first, and most obvious, is that for many tech C.E.O.s, Facebook represents a formidable competitor. 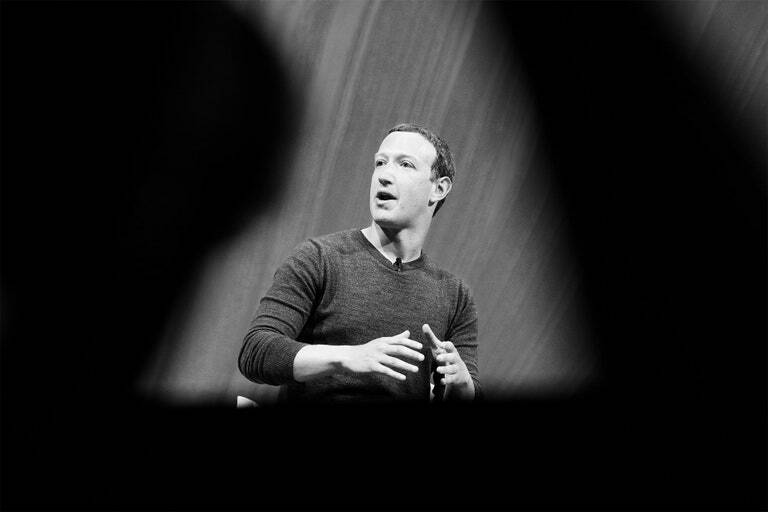 Zuckerberg is shameless about borrowing features from other start-ups and is extending his reach to include everything from dating apps to television to artificial intelligence, the latter of which is poised to become one of Silicon Valley’s most important currencies. It’s also an easy target. Not only has it been bolder and more brazen about monetizing user data than many of its competitors, but it has attracted millions of users, meaning that when Spiegel and Benioff talk about Facebook users’ privacy, they’re almost universally understood. It’s far easier to rally against a company whose app people check every day, as opposed to a more faceless entity like Salesforce. In taking shots at Facebook, tech C.E.O.s seem to be attempting to ward off strict privacy regulations like G.D.P.R., which recently took effect in Europe, by framing Zuckerberg’s company as a problematic outlier. This, of course, is far from the case: companies like Google, which controls a full 40 percent of the U.S. digital advertising market, collects just as much—if not more—data on users than Facebook does, and is likewise in the business of sharing that data with advertisers. And Apple itself is making moves to expand into the digital ad business to bolster its hardware sales, which could nudge it into the same field as the company Cook delights in disparaging. What’s more, if the shots at Facebook are indeed based solely on a desire to avoid its fate, C.E.O.s may not need to worry: U.S. regulators have been slow to act, awaiting a Federal Trade Commission investigation into whether Facebook violated a consent decree to protect its users. It’s somewhat more likely that their protestations are exactly what Stamos claimed: “cute virtue signaling,” motivated by a desire to come off in the eyes of the public as the lesser evil. In doing so, however, they may be unwittingly handicapping themselves, spurring Zuckerberg to pull up the ladder on the wildly successful data-based business model he has perfected and cutting off their own companies (and future competitors) from the spoils.